Our story, where we're headed and how we designed and built the world's first web-based drag & drop staff scheduler. Behind the site is a talented team of software engineers, system administrators, customer support agents, designers, writers and back-office staff. Got a spare minute? Come say 'hello' via our live chat! 2003The ideaFindmyshift began with the idea that managers should have an easy way to share their rotas online with their staff. Armed with a little web-development know-how, we set off developing a prototype in our spare time. 2004FindmyshiftOne year on and we've launched Findmyshift as the world's first web-based drag & drop staff scheduler, with our first customer signing up in the following weeks. Dr Glenn & Partners (Sydney, Australia) is still with us 14 years later. 2007AdvertisingAfter three years of feedback, refinements and additional features, Findmyshift officially removes its "beta" tag and begins advertising the site on all of the major advertising networks. 201015,000 usersThree years after we begin advertising we start experiencing exponential growth, serving more than 15,000 active users per month. 2012CloudWith the huge increase of users and the increasing load on our servers, we migrate Findmyshift to Amazon's AWS cloud infrastructure. 201350,000 usersTripling our user-base since 2010, we serve more than 50,000 active users per month. 2014Mandatory HTTPS With the increasing threats to privacy, we begin enforcing mandatory HTTPS connections across all areas of the site. 2014Time & attendanceExpanding beyond scheduling, we add timesheets and staff time clocking to Findmyshift to give managers the ability to record and report on the actual hours their staff are working. 2015Free planWe add free scheduling plan for teams of 5 staff or less. We also add a downloadable Excel template for those that are not ready for an online solution. 2016150,000 usersTripling our user-base again, we serve more than 150,000 active users per month. 2016Android & iOS appsAfter a heavy redesign and rebuild of our mobile architecture we release our first apps for iOS and Android, offering native push notification support for shift reminders and rota update notifications. 2017Integrations14 additional services are integrated with Findmyshift, including Slack, Google Assistant and Amazon Alexa. Find out more at findmyshift.com/integrations. 2017Public APIOur API is made publicly available, with OAUTH 2.0 support, full documentation and examples to help you get started. Find out more at findmyshift.com/developers. 2018Training & live webinars We begin our training program with daily live webinars for both new and experienced users. You can register for a session at any time via findmyshift.com/training. 2018GDPR complianceFindmyshift is fully compliant with the GDPR, with new controls being made available for users to delete, download and modify their data. Signed data protection agreements are also made available to all customers. 2019Half a million usersWe're serving over half a million employees worldwide, delivering shifts through push notifications, email, text messages and Slack notifications. We believe in transparent pricing, honesty in advertising, and delivering on our promises. We also believe Findmyshift is first-class for functionality, usability and affordability. 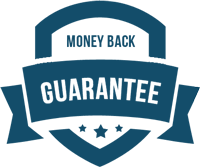 To show we mean business, we (as always) offer all customers a full money-back guarantee, no questions asked.